When a site claims to offer its customers free online sports bets, it might mean a couple of different things. The most obvious is when the website gives the bettor free cash up front to make a wager, although many bookmakers prefer to reimburse the customer after a losing bet. In addition to the types of free bets mentioned above, virtual bookies are also fond of handing out all manner of other incentives. These are usually known as sign-up or deposit bonuses, and this article is meant to cover some of the more popular options. Customers may have different definitions of free online bets, but each is designed to provide bettors with an incentive to conduct their transactions at a specific sportsbook. While some of these bets are actually free, most come with a few strings attached. The most common is the wagering requirement, which forces customers to risk a multiple of the bonus before it can be withdrawn. If a $50 bonus has a betting requirement of 10x, then it can’t be withdrawn until the player has risked $500. It should also be noted that these free bets are compatible with any kind of sporting event. Whether you’re looking to bet on soccer or the NBA, you’ll find that these bonuses apply. Also known as “refund wagers” or “free plays,” this form of bonus refunds the player for a losing wager up to a specified limit. This is generally accomplished by emailing the sportsbook following a losing bet and including a promo code. If you place a wager during each week of a sports season, you become eligible to receive a certain amount of free cash. Some sites require these wagers to be made from the first week, while others honor the offer at any point in the season. Some leading sites select a specific proposition bet each week, and anyone who wagers on it receives a complimentary bet. In most cases, the free wager doesn’t have to be a prop bet. This bonus is often tied to the NFL season, and it requires the bettor to place a parlay wager on 3 or more teams. A few days later, the customer receives a free wager regardless of whether or not the parlay was a winner. In addition to free bets, sportsbooks offer a variety of promotions and bonuses. These bonus amounts always come with wagering requirements, meaning that you’ll need to bet a multiple of the “free” money before it’s eligible for withdrawal. 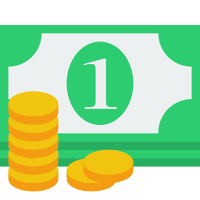 When you create an account with the site, you receive a free sum of money to welcome you as a customer. Wagering requirements almost always apply to this type of bonus. Also referred to as a “deposit bonus,” this form of incentive matches any amount of money deposited into the account of a customer. For example, a $100 deposit with a 100% matching bonus would award the customer an extra $100. When you refer a friend, you’ll receive a bonus amount once the person signs up and makes their first deposit. While a welcome or matching bonus often occurs during the player’s first deposit, this form of bonus is specifically designed to reward repeat customers. When you come across a site offering free online sports bets, keep in mind that these wagers may not be entirely free. Most sites have terms and conditions that must be met before withdrawal, and these often require the bettor to wager a multiple of the bonus amount before it can be taken out of your account. Despite these requirements, any site that offers free wagers on sports is worth looking into. If you’re already planning on making a number of wagers at a virtual bookie, you might as well get some extra cash for doing so.